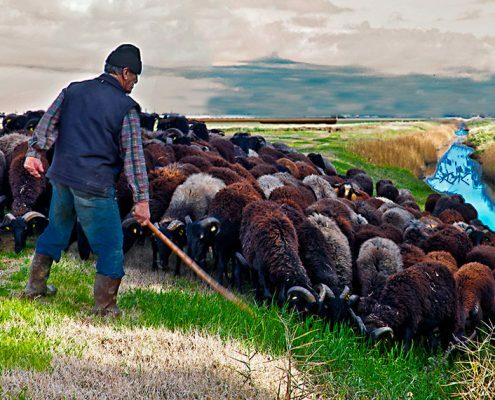 Rearing livestock has always been necessary for man’s survival. 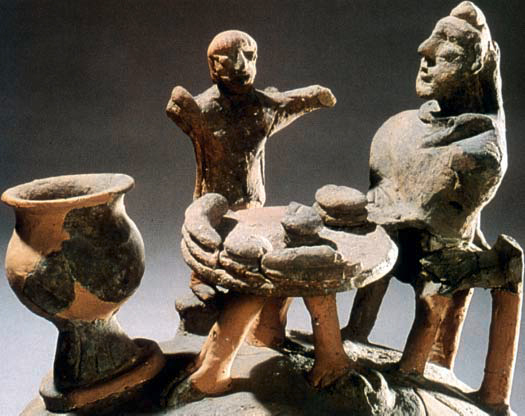 Even the Etruscans reared livestock, on the very pastures where sheep from modern breeding farms graze, often next to the remains of the ancient civilization. 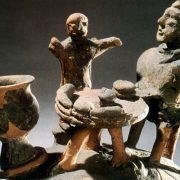 In Etruscan times the art of cheesemaking was perfected to meet the needs of preserving a highly-nutritious food like milk. 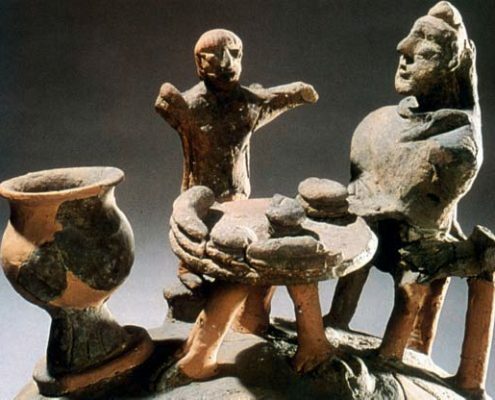 Having this goal in mind, the Etruscans were the first to use vegetable rennet and to produce large cheese wheels, enough to feed a family for long periods of time. 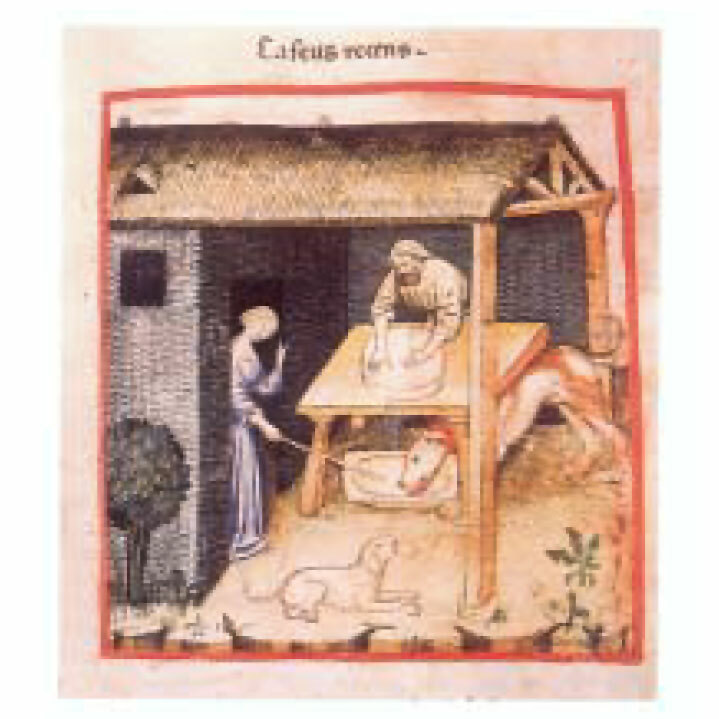 Initiated by the Etruscans, cheese wheel production and conservation continued on into the following centuries: during the Roman times, as evidenced by Pliny the Elder, and during the Middle Ages, where sheep farming represented important economic activity and had spread evenly over the entire peninsula. One legendary episode, dating back to the thirteenth century, tells the tale of Giotto who, intent on drawing on a rock while he was guarding a flock in Mugello, was seen by Cimabue, who took him in his shop immediately recognizing his artistic genius. 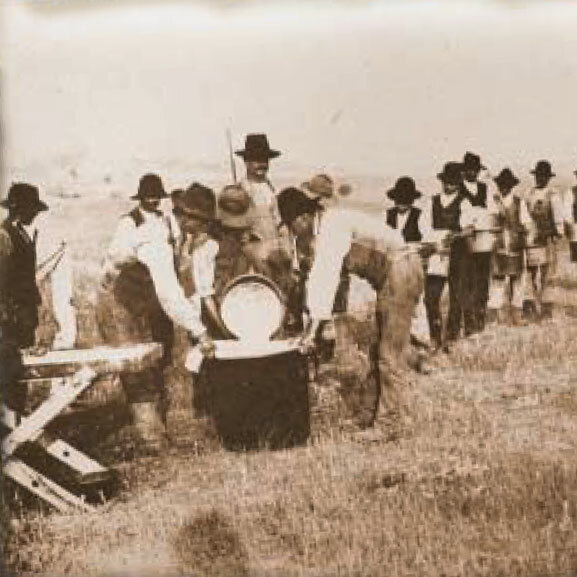 Subsequently, the humanist Bartolomeo Platina celebrated Etruria’s marzolino cheese produced since Etruscan times as the best cheese in all of Italy, along with Parmesan cheese, in 1475. 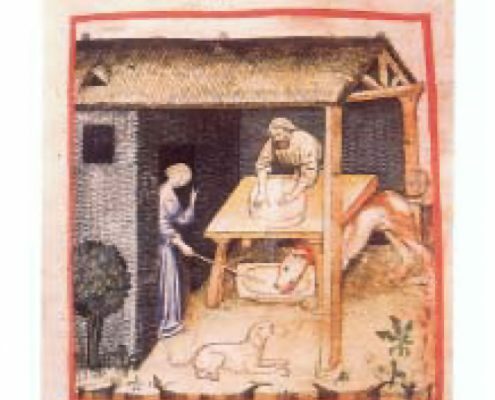 During the Renaissance and for a few centuries after, cheesemaking did not follow well-codified rules, much to the detriment of its quality and uniqueness. In 1832 Ignatius Malenotti, a member of the Linnean Society of Paris, published the influential “Shephard’s Manual”: a guide for landowners, farmers and shepherds. In the book the writer pays tribute to Pecorino Toscano and also refers, for the first time, to two cheese qualities: its strong, biting flavor, and its sweet one. The first is made by coagulating the milk using rennet, while the second with the flower of the wild artichoke, called “presame”, another term meaning rennet. 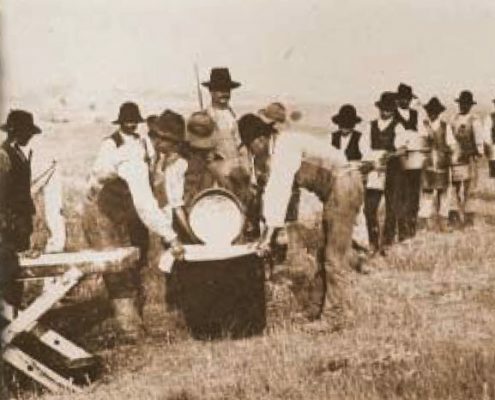 In the nineteenth century the art of cheesemaking was already codified by the Chambers of Commerce regulations: The name Pecorino was a source of income for the owners and a source of sustenance for the farmers. 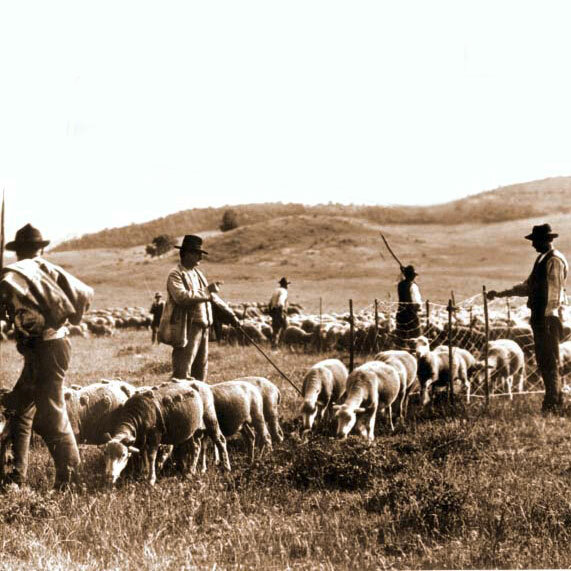 In the late nineteenth and early twentieth century, thanks to the constant increase in the price of sheep’s milk cheese, sheep herding made a steady comeback that continued all the way up to 1930’s when sheep farming began to go through a period of strong decline. 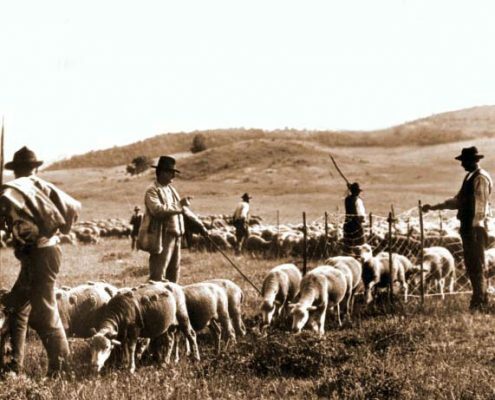 What caused it, above all, was a policy that favored the cultivation of the available agricultural land, much to the detriment of sheep relegated to more marginal land. The real failure, however, occurred during the Second World War and during the fifties, which halved the entire highly-advanced sheep farming sector in just over twenty years. 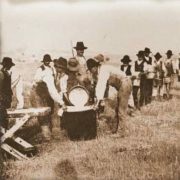 It wasn’t until 1960 that the trend would be reversed and that production of Tuscan cheese would come back in full force. 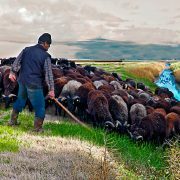 During the industrial boom years, sheep herding farms recorded a sharp decline in favor of semi-permanent ones, after the peasant migration to cities and the resulting availability of agricultural land. 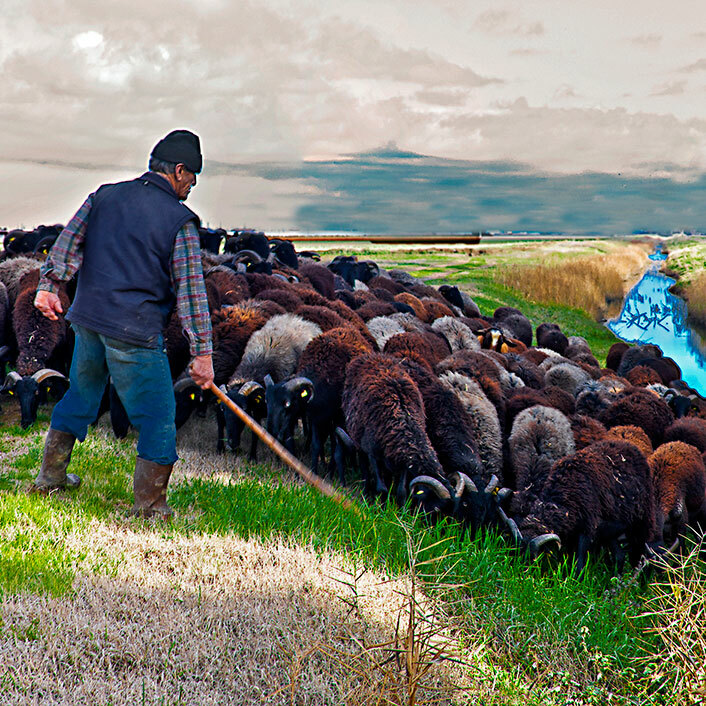 Many shepherds who drove their flocks during the winter from the Apennines to the Maremma area, became “sedentary”, partaking in activities on the plains or in the valley. 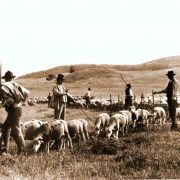 Even Sardinian shepherds arrived in Tuscany during this period, carrying on their activities and traditions on deserted land, including dairy farming, and building structured farms in a short amount of time, which have contributed to the steady recovery of highly-developed sheep farming since the 1960’s.